Do want to create the next musical masterpiece? Do you want to create a memorable melody that will be remembered for 1000's of years? Do you want to be remembered as a great composer of our day? Unfortunately, teaching melodies isn’t an easy task. However, there are frameworks and guidelines that I can lay out for you to help you in your journey to create that melody. When you think of past songs that have survived the ages, many of them have one thing in common, a very memorable melody. Beethoven’s Moonlight Sonata, Grieg’s In the Hall of the Mountain King, and Twinkle Twinkle Little Star are all very memorable. This brings up the question: What makes a melody memorable? An important thing to note is that each of these composers composed numerous pieces (Beethoven composed over 650) and not all of these are masterpieces. To this end, I would suggest that you compose and compose, and not worry about trying to compose a masterpiece every time. The more you compose, the better you will become at it. Don’t frustrate yourself by making things overly complicated. Now, let’s move onto the aspects that make a melody memorable. What do these past songs have in common? One thing that makes melodies memorable is repeating the same melody or repeating a similar theme of the melody. This makes the melody stick in the listeners mind because they have heard it many times while listening to the song. 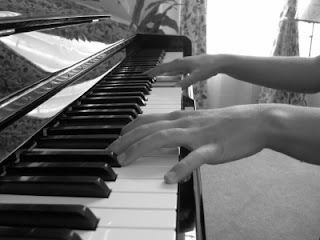 The more a person hears a melody, the more familiar they become with it, which makes it more memorable. A modern day example such as Bad Day by Daniel Powter illustrates this method, where the melody is played obsessively. The classics also use this technique. Listen to In the Hall of the Mountain King for the repeated melody line. Requiem for a Dream is another awesome example of this. You can also listen to my composition titled Twilight March, which is one of my examples of using this technique. In a vein similar to repeating the same melody, is the technique of repeating the same rhythm. Twinkle, Twinkle Little Star is the perfect example. Although the melody varies, the rhythm of each measure is exactly the same. This creates a sense of familiarity with the piece. The rhythm is recognized throughout the song. However, if these techniques are overly used, then the song can become boring. It is important to have at least one juxtaposed section in the song. A common song framework is ABA. The ABA framework introduces an initially unfamiliar melody and follows it with another unfamiliar section. When the song returns to section A the audience recognizes the melody and is more familiar with it, causing it to be more memorable. Generally, the main theme of the song is repeated a few times in section A, and a variation of it might appear in section B. In this sense, the main melody is heard many times throughout the song without being overbearing on the audience. These two techniques, although unsurprising, are important to mention when discussing how to create a memorable melody because they are the most common methods in creating something memorable. But this article brings up a question, how do you create the repeatable phrase that will constitute the main theme of your composition? How to Compose a Memorable Melody will discuss this.